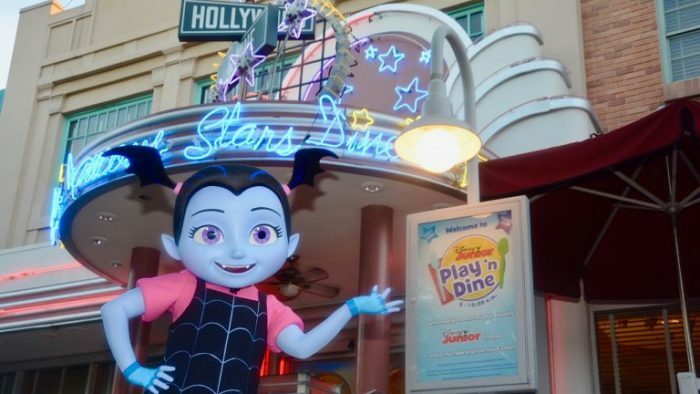 Just in time for the Halloween season, Vampirina (aka “Vee”), star of the hit Disney Junior series bearing her name, has joined the breakfast fun at Disney Junior Play ‘n Dine at Hollywood & Vine. This Disney’s Hollywood Studios spot is the place to eat, play and laugh along with favorite Disney Junior friends including Sofia the First, Doc McStuffins and Roadster Racer Goofy. Vampirina is not just here for Halloween; she’s here to stay. Starting this November, you’ll be able to meet her every day in an all-new character greeting location in the park’s Animation Courtyard. Vee will be hanging out in a replica of her room, where you can speak with her and snap a photo. Vee has also been joining in the fun over in the Magic Kingdom. During Mickey’s Not-So-Scary Halloween Party evenings, you’ll find her dancing away in the Storybook Circus Disney Junior Jam dance party. If you have little ones who love Vampirina, put Disney Junior Play ‘n Dine and Disney’s Hollywood Studios on your must-do list for your next trip to Walt Disney World. 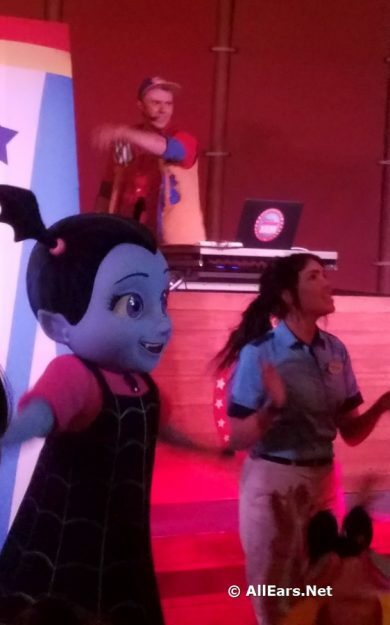 Wonder what the Disney Junior Play ‘n Dine experience is like? You can read what AllEars.Net readers thought about it in our Rate and Review section. 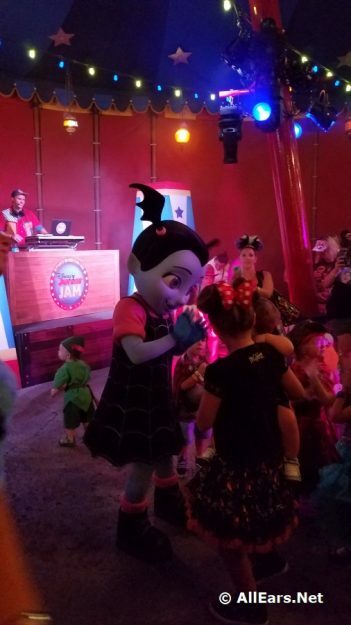 Are you excited to see Vampirina in the parks? Let us know in the comments!